The fashion industry has been enjoying all of the attention, glitz, and drama – and this is thanks in no small part to social media. Though social media is a relatively modern sensation, it is increasingly becoming an integral part of any savvy business’s marketing plan. At its inception, it was viewed as a fad or passing trend. Not anymore. What could once be achieved by using traditional marketing methods now needs the effective utilization of social media and its robust tools. Fashion, especially modest fashion has become one of the biggest industries in recent times – and social media has played a huge role in its development. 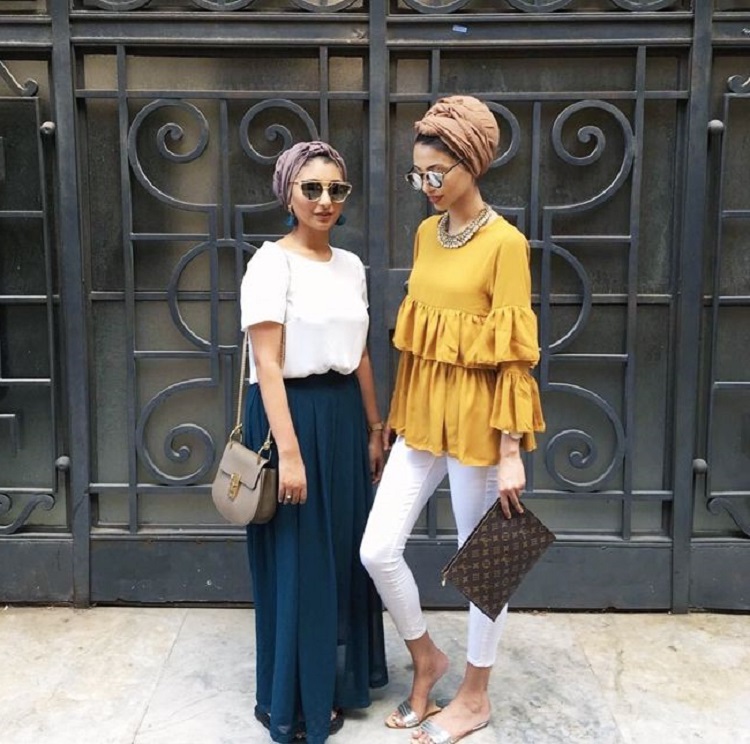 From instagrammers, hijabi bloggers and the trendy modest fashion designer, covered-up wear has gained increased exposure and acceptance. Modest wear companies can utilize the power of social media to effectively market and reach their ideal clients in the industry. But why is this especially important today? Modest fashion generally denotes covered-up clothing, consumers crave style, innovation, uniqueness, inspiration, and beauty. As such, the modest fashion industry is one of the most challenging today. More so, today’s consumers are more tech savvy and realize that they can easily move on to the next fashion designer if their needs are not met. Using social media can help you develop a unique and creative marketing campaign to help you stand out from your competitors. If you use social media the right way, it can help build credibility, boost online sales, and ensure you better engage with potential and existing consumers. Your social media profile has to be appealing to your target audience. This requires some investment, but you can rest assured the return on investment will be worth the hassle because it has been reported that social media helps to increase e-commerce engagement for fashion brands as much as 3 times more than conventional methods. Your brand reputation is everything; as social media helps you reach your ideal audience, it can also be used to give the image of your modest fashion company a boost. A modest fashion entrepreneur should have an idea what their target market looks like. By understanding the interest of your customers, you will be able to structure your advertising strategy to build engagement for your brand and help it grow. Researching their interest could be as easy as knowing where they are based, their music interests, where they spend most of their time online, and who may influence their behavior. This research will inform you the best advertisement channels for your modest fashion company. Nothing feels worse than a bad customer service for any customer today. By paying attention to customers’ concerns, feedbacks, and complaints, you can achieve great customer service, and make your existing clients repeat customers. How can social media help you achieve this? Track and listen to any mentions of your product name or brand on social media. If there are any queries, do well to deal with them immediately. And always remember to reply your customers on social media – without them, you have no business doing business. Regular posting and updating of your social media feed is important. The importance of good content today cannot be overemphasized. In addition to all of these, however, your ability to interact with potential consumers and keep them engaged will make you stand out, just take Hidden Pearls as an example. You can achieve this by replying comments or asking a pretty simple question related to recent events. For your social media followers to appreciate your brand for what it should be, you need to show the human side and personal feeling of your brand and develop good connection with them. As it stands today, social media and fashion brands are inseparable. Platforms like Facebook, Pinterest, or Instagram are very visual, making it easy for you to promote your modest fashion company. Instagram – the eighth largest social media platform in the world – records over 400 million users monthly. Social media is gold for any savvy modest fashion company. Your consumers love to know the trendiest products and trends in the modest fashion industry. If you post content that peeks the interest of your target consumer on social media, they will like, share, and even promote your brand for free, just because they like it. Instagram, like the other platforms, is a treasure hub for user generated content – and this is good news for the savvy modest fashion entrepreneur.